 In the last two marketing rocket fuels we’ve talked about “MOM” – again, MOM is the acronym for market, offer, and message. These are the three cornerstones – the three pieces, if you will – for being able to have an effective advertising and marketing piece. We’ve talked about getting the right market, and we’ve talked about getting the right message. Now it’s time to make an offer. You want to direct them towards what you want them to do. That might be: to give you a call, to place the order online, to send in a response card. There needs to be an action that they are going to take to respond, and of course,you want them to do it as quickly as possible. If you do this, and you have an offer that is irresistible, you will find that things will move quite quickly. A real world example of this was a client of mine who wanted to get a little bit of a kick in their sales curve. This was in the period just before the Christmas rush was about to begin here in the United States. That usually has to do with the day after Thanksgiving. So, we put together a “they must be out of their minds” sale. The goal here was to get people to come to them first. We put together a series of not one, but five amazing offers. In the mailings that we sent out, we said that there was going to be some exceptional offers, five amazing things, and that it was going to happen on this day, and come to the website, we will tell you when. On that day another email went out saying, come to the website, they must be out of their minds, this is an amazing sale! What we did was we got some specific offers for specific items and marked some carefully chosen items down to ridiculously low levels. In one case, we had a particular product that actually sold for $8. It was discounted down to $5, but when people bought that item, they also got a $5 gift certificate for a future purchase. The net result was zero. Here’s the thing to realize: one is that for the item itself, the hard cost was about $2. That gift certificate for $5 actually in effect made us $2.50. In other words, it more than covered what people were getting for that specific product. What was more important is that it not only got people to act today – to start placing orders – but it also set them up to come in the future. Here’s what happened because of these very strong offers. Over the course of the next five days, this client did the equivalent of two months worth of sales! People not only responded to these introductory offers, they bought a lot of other products as well! In fact, the results were so strong, the warehouse staff had to work exceptionally long hours. It got so bad, I couldn’t show my face around the company for about two weeks, simply because the warehouse people were so upset about how hard we were working them! Frankly, it made me smile. So the key idea is to make sure that you’ve got an offer – some reason for people to respond. As you develop stronger and stronger offers, you’ll find that those response rates tend to go up. Why is it that you see people saying that these items were available for a limited time? Being able to say that if you buy one, you get this other item additionally, but for a limited time – those kinds of offers, the reality is, they work. Do this as an exercise: thumb through a local newspaper or a magazine. You’ll find that most people’s ads show nice pictures, tell about where the business is located, but contain absolutely no reason to make you respond. The exception would be some situations where people have a coupon – say $2 off a pizza. Interestingly enough, those are the ads that work best. Realize that your offer doesn’t necessarily have to give away product. You could be giving away information. You could be providing some additional bonus service, if people do this in a specific period of time. The bottom line is, that if you have a great offer, you will get responses. So these are the three points for successful marketing. You need to be talking to the right people (market), you need to make sure that you’ve got an offer that is very strong and make people respond, and the last one is making sure the message communicates those ideas very clearly. Get these three pieces in place and your marketing effectiveness will soar.